That’s right. There was court today but no decision was made. I have to go back tomorrow at 10am for her to read the decision. It was not what I expected and definitely not just a formality as I was lead to believe. I’ll give you a full accounting later. 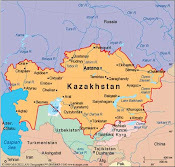 But the bottom line is that I did get through it and hope that tomorrow she says that she “accepts my application.” That means yes in this Kazakh court. So please say an extra prayer that the judge says yes, so that I can bring beautiful Miss Alexis home.